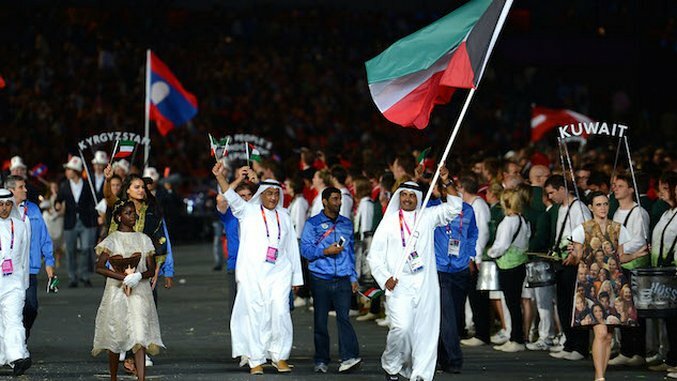 Kuwait will almost certainly not be represented in the 2016 Summer Olympics in Rio de Janeiro. The National Olympic Committee (NOC) of Kuwait was originally suspended by the International Olympic Committee (IOC) in October in order to “protect the Olympic Movement in Kuwait from undue government interference”. The suspension is a response to a Kuwaiti law that the IOC feels gives Kuwait’s government too much influence over the activities of the NOC. Last week, the Executive Board of the IOC decided to uphold the suspension after deciding that the NOC had made “no positive development” since the Board’s last meeting in March. The Board’s next meeting is scheduled for the weekend of July 30, one week before the start of the games. Because of the timing, it is basically guaranteed that the NOC will remain suspended from Rio. Kuwaiti athletes will still be allowed to compete at the Olympics, but they will have to do so as independent athletes rather than representing their country. Here are five other times the IOC has suspended a national Olympic committee. India was partially suspended from the 2014 winter games in Sochi after the IOC decided that the election of leadership in the Indian Olympic Association was rigged. In a unique twist, the IOC lifted India’s suspension four days into the games. The three Indian athletes who had been competing independently were able to represent their home nation for the rest of the games. It was the first time the IOC had lifted a suspension during the games. Germany and its World War I allies were all held out of the 1920 summer games in Antwerp. Of this group, however, only Germany was held out of the 1924 winter games in Chamonix and the 1924 summer games in Paris. Germany reformed its national committee in order to participate in the 1928 games. When the Taliban came to power in Afghanistan, their oppression of women led the IOC to suspend the Afghanistan National Olympic Committee. This suspension held the nation out of the 2000 summer games in Sydney. Afghanistan’s suspension was lifted in 2002 following the fall of the Taliban. United Nations sanctions against Yugoslavia forced the IOC to suspend the nation for the 1992 summer games in Barcelona. The sanctions were a response to Yugoslavia’s role as an aggressor in the Bosnian War. ?In a dramatic turn, Rhodesia had its invitation to the 1972 summer games in Munich pulled by the IOC just four days before the opening ceremony. The action came after the rest of the participating African nations threatened to boycott the games unless Rhodesia was barred. Rhodesia has declared independence from the Britain in 1970, but the other African nations did not recognize the new apartheid republic. The country, now named Zimbabwe, was allowed to participate the 1980 Games after blacks were integrated into government in 1978.